BRACKNELL, UK â€“ April 9th, 2019 â€“ NETGEARÂ®, Inc., the industryâ€™s leading provider of leading-edge networking products for the home and office, has announced the availability of four new routers that support the latest and fastest Wi-Fi networking standard â€“ Wi-Fi 6 (802.11ax). Todayâ€™s households are dealing with an increasing number of connected devices and an increasing demand for greater bandwidth from streaming video, audio and online gaming. Add to this the plethora of smart home devices from IP cameras, voice assistants, smart thermostats and appliances, all of which are dependent on a constant connection to the cloud. These devices just increase the complexity of a network as they compete for bandwidth, pushing wireless home networks beyond the technical threshold for the current generation of Wi-Fi. NETGEAR has solved for this modern-day dilemma with the introduction of a full suite of ultra-fast Wi-Fi 6 routers. Wi-Fi 6 â€” the latest generation of Wi-Fi â€“- delivers up to four times better performance than Wi-Fi 5 (802.11ac) using innovative technologies such as Orthogonal Frequency-Division Multiple-Access (OFDMA) to help maximise the capability to connect multiple devices at the same time, which will help reduce the congestion for the typical bandwidth-starved connected home. Wi-Fi 6 will provide a huge boost in total network capacity and reliability, ushering in a new era of speed, performance and capacity for wireless networking in todayâ€™s homes. The actual quality of the connection for each Wi-Fi device will also be improved by reducing the interference between them, thus ensuring that the experience of lag or buffering is reduced during online gameplay or streaming Ultra HD 8K/4K. To make the most of the higher speeds and greater bandwidth for the broad range of household network needs, NETGEAR has released a new family of routers featuring the industryâ€™s latest Wi-Fi 6 standard with four times increased data capacity to handle today and tomorrowâ€™s growing home network. Today, NETGEAR is announcing the latest model, NighthawkÂ® AX4 4-Stream AX3000 (RAX40) providing all the benefits of Wi-Fi 6 at a budget-friendly price point. With the new Nighthawk AX4 Wi-Fi 6 router, youâ€™ll be prepared for this major technology shift to faster connectivity and greater capacity to handle the numerous devices now connected in the home. 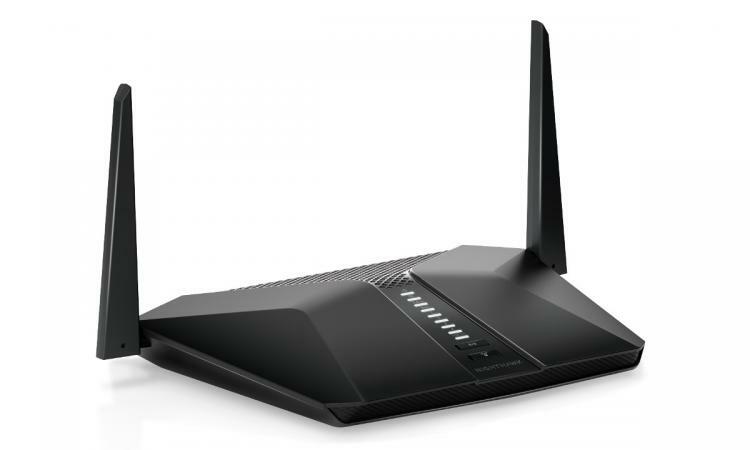 NighthawkÂ® AX4 4-Stream AX3000 Wi-Fi 6 Router (RAX40) â€“ Â£179.99 â€“ Availability: April 2019 â€“ features combined Wi-Fi speeds up to 3Gbps and an AX optimised dual-core processor powers smart home automation, ultra-smooth 4K UHD streaming, online gaming, and more. - 4-stream Wi-Fi with up to 600 + 2400Mbps for ultra-fast wireless speeds. - Powerful Processorâ€”Dual-core processor ensures smooth 4K UHD streaming & gaming. NighthawkÂ® AX8 8-Stream AX6000 Wi-Fi 6 Router (RAX80) â€“ Â£299.99 â€“ Availability: Now â€“ The NighthawkÂ® AX8 8-Stream AX6000 Wi-Fi Router features blazing-fast combined Wi-Fi speeds up to 6Gbps with an award-winning design recognized by both Red Dot and iF Design awards. Eight Wi-Fi spatial streams - four in the 2.4GHz band, and four in the 5GHz band - offer four times the device capacity as compared to typical 2x2 AC Wi-Fi. Multi-Gig Internet enables customers to get more than one Gbps of Internet through aggregation. NighthawkÂ® AX12 12-stream AX6000 Wi-Fi 6 Router (RAX120) â€“ Â£359.99 â€“ Availability: April 2019 â€“ This 12-stream router offers combined Wi-Fi speeds up to 6Gbps and AX optimised 64bit 2.2GHz Quad-core processor an award-winning design recognized by both Red Dot and iF Design awards. Have more fun with the uninterrupted 4K/8K Ultra HD streaming, gaming, and the smart home experience. As the only router with 8 streams on 5GHz, you will get better range and reliability with all devices. Built-in 5Gbps Multi-Gig Ethernet provides powerful connectivity options. NighthawkÂ® Tri-band AX12 12-stream Wi-Fi 6 Router (RAX200) â€“ Availability: May 2019 â€“ The NighthawkÂ® Tri-Band AX12 Wi-Fi 6 Router offers the fastest Wi-Fi speeds with a combined speed of up to 10.8Gbps designed to specifically address the smart homes of today and into tomorrow, which are crowded with an ever-growing number of connected of devices. This tri-band Wi-Fi 6 router ensures that there is an abundance of bandwidth available to distribute to all the connected devices on the network delivering the best performance without congestion or drop outs. While streaming 4K/8k Ultra HD video and playing online games simultaneously on the same network, youâ€™ll now be able to enjoy the experience without lag or interruptions. This router also supplies a 2.5Gbps Multi-Gig Ethernet that can be used for LAN or internet connectivity.